The last time I popped into my local Mecca Cosmetica to have my makeup done by the supremely talented and very charming Chris, one of the products he used to really give my shadow some longevity was the Smudge Proof Eyeshadow Base by beauty supernova NARS. A one-man fight against smudging, creasing and caking, it’s been called an “insider trick of the trade” many a time with damn good reason. 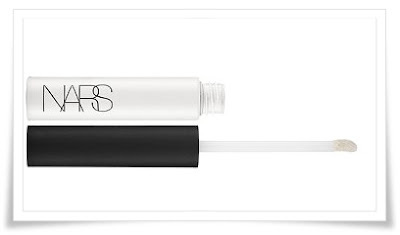 Never looking heavy-handed, it’s a super lightweight eye primer that creates a seamless canvas that keeps cream and powder colour looking brilliant, fresh and just-applied, all day - and I can vouch for the fact that it definitely works. The secret is apparently its unique polymer and mineral powder blend, which creates a firm grip on colour. This is fortified with special deep-sea and antioxidant rice extracts, and it dries on contact so is an absolute breeze to use. The product itself is medium-thick with a beautiful creamy consistency. It comes out white but blends to colourless perfection on the eyelid, and as there is no tint at all it works well without affecting the eyeshadow colour. It blends easily and leaves almost a silicone-based finish on the skin, making for effortless application.